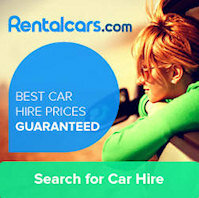 Great deals on car rentals! It's hard to run out of sights to see in Split but if you do, Split makes an excellent base to explore central Dalmatia. The region is easy to explore independently but for a more personal, in-depth experience and to save time, consider hiring a private guide who can take you to out-of-the-way places as well as the regional highlights. 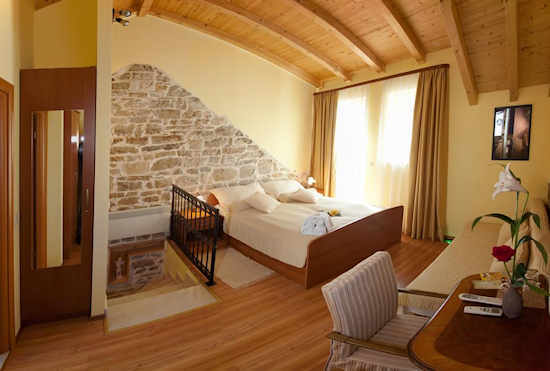 For day trips, choose your accommodation in Split carefully. 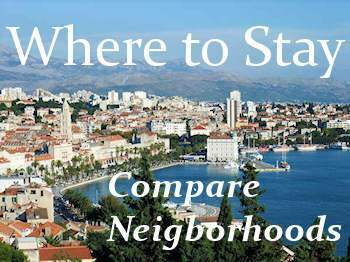 The best location is to stay around Split's ferry port which also happens to be near the bus station. Also convenient is Bacvice accommodation or towards the eastern end of the Old Town. It's helpful to rent a car to cover more than one destination in a day but you can see a fair amount using public transport. Split is well connected by bus with other coastal destinations and by ferries to the islands. Check the ferry schedules carefully though! Day trips to some islands are only possible in the summer when special passenger ferries are put into service. The only reliable year-round connection for an island day trip is the Split-Supetar and Split-Stari Grad car ferries. 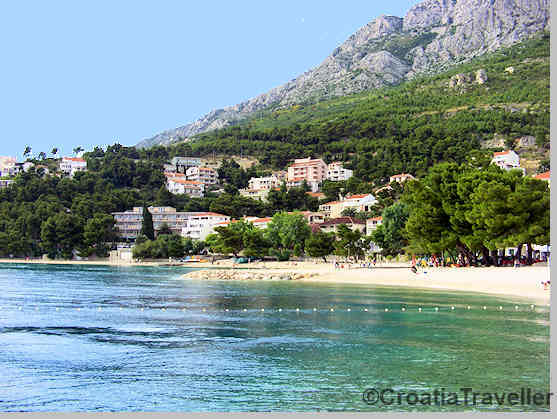 Brela might be Croatia's most beautiful beach and is less than an hour by car. 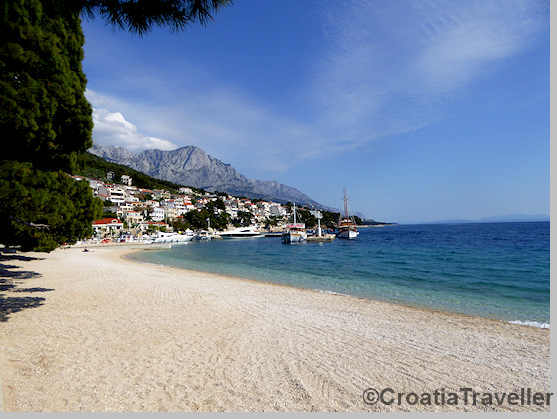 Baska Voda is another pretty port and beach scenically settled at the foot of mountains and easily accessible by car or bus. 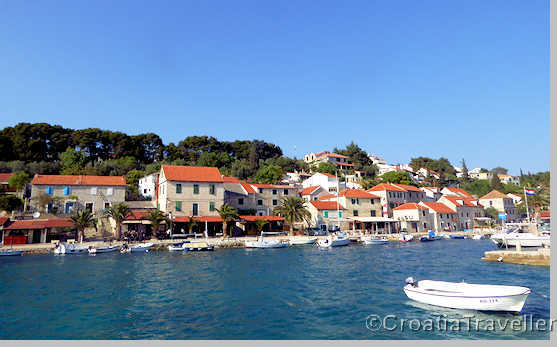 Hvar town is the jewel of Hvar island featuring stately Venetian architecture lining a welcoming harbour. In summer only, it's now possible to take a passenger boat from Split to Hvar in the morning, stay the day and return to Split in early evening. Even more relaxing is a full day catamaran cruise to Hvar and Pakleni island. 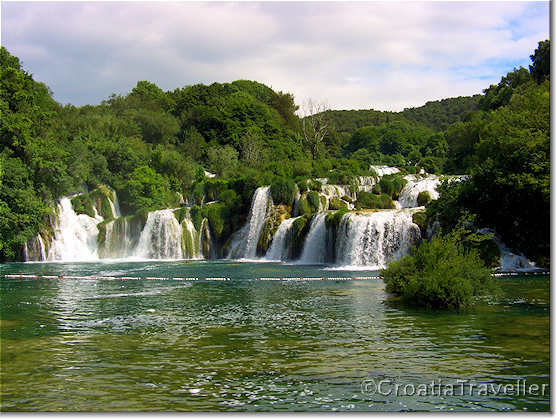 Krka Waterfalls National Park is a spectacular panorama of lakes and waterfalls. The park is only about 1 1/2 hours from Split by car but public transport is not direct. Without your own wheels, I recommend taking an organized tour. The price is reasonable and you don't waste time on buses. Check out this Krka tour. 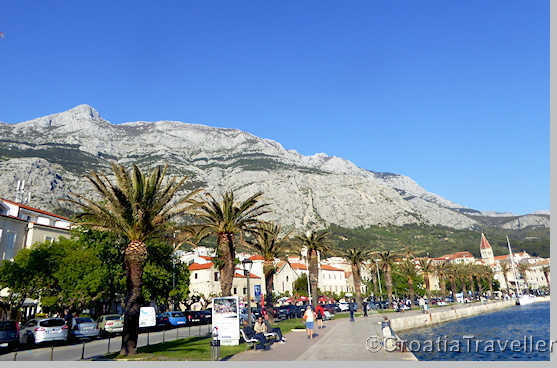 Makarska is a smaller and cuter version of Split with a nice harbourside promenade. Split locals go there on Sunday for a stroll. Active travellers appreciate the hikes up Mt Biokovo. Makarska is only about an hour by car or bus. Ramble amid the ruins of the Roman city and Christian pilgrimmage site, just outside the town of Solin. 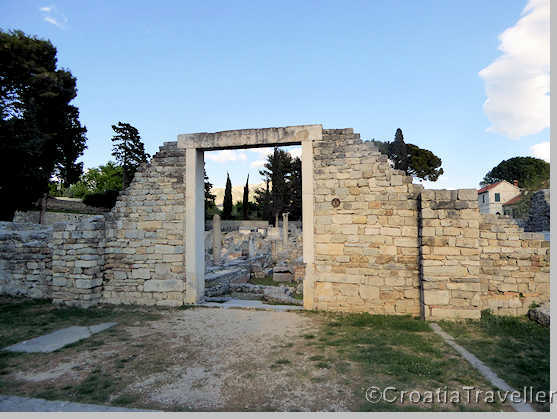 Salona is easily reachable by Split public buses and can easily be combined with a visit to Trogir. Beat a quick retreat from busy Split by taking a short ferry ride to Solta. Overlooked by tourists, this small, hilly island is marked by fishing villages and a few beaches. Medieval Sibenik boasts St James Cathedral, a World Heritage Site and a network of fortresses that were part of the defensive system of the Venetian republic. Sibenik is easily reachable by bus from Split but with a car it's possible to combine a visit to Sibenik with the nearby Krka National Park. 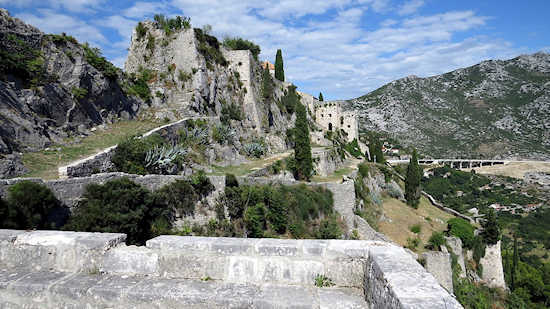 Only 15km from Split, the ancient fortress of Klis was once at the crossroads of history. It gained new renown when Game of Thrones used it as the location for Meereen in the fourth season. Reasonably accessible by bus, the views from the top are unforgettable. Stunning Zlatni Rat (Golden Cape) beach is one of Croatia's best beaches and it's right outside Bol on Brac, Split's closest large island. Daily passenger boats link Split and Bol in the summer allowing for a long day at the beach. This scenic series of coastal villages arose around 15th and 16th-century castles. Enjoy the small-town atmosphere, the castles and the beaches. Take a very early morning boat and spend the day exploring the extraordinary Venetian architecture of this historic town. 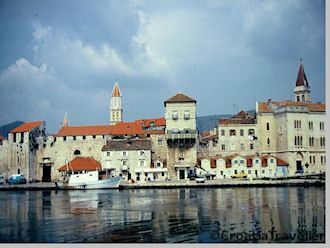 There may even be time to look around the rest of Korcula island. You'll know it when you see it. The rocks will be towering over you next to the Cetina river. And, it's a quick bus ride from Split. 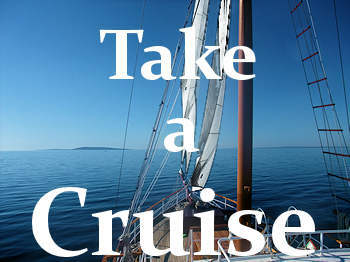 Find out why the Croatian coast is a sailor's paradise with this guided day cruise around Hvar and the Pakleni Islands. Swim, sail, sunbathe and bask in Adriatic beauty. More. 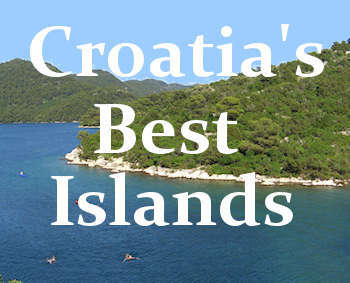 Whether a short paddle around Marjan Hill, a longer one around Ciovo or a blowout adventure from Hvar Island, this is a dynamite trip for the whole family. More. It's possible to rent bikes and cycle around Marjan hill on your own, but for those who prefer more organization, try this 3-hour guided tour. More. Even beginners can try their hands (and legs) on this guided climb. More. Too arduous? How about a guided hike up Marjan hill? More. 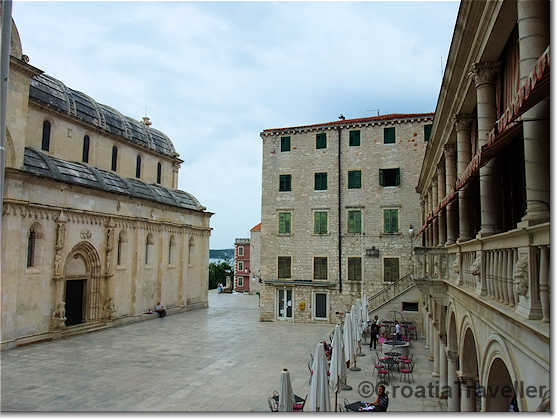 Both Diocletian's Palace and Trogir are World Heritage Sites with a wealth of culture and history to discover. Why not do it with an expert? More. The beautiful Cetina River is known for its thrilling rafting. Enjoy this full-day adventure that includes a picnic lunch. More. One of Europe's most celebrated National Parks, Plitvice's 16 lakes linked by roaring cascades is a must on any Croatia itinerary. It's a healthy 3-hour drive from Split and then you must find parking and find your way around. I recommend booking an organised tour. More.